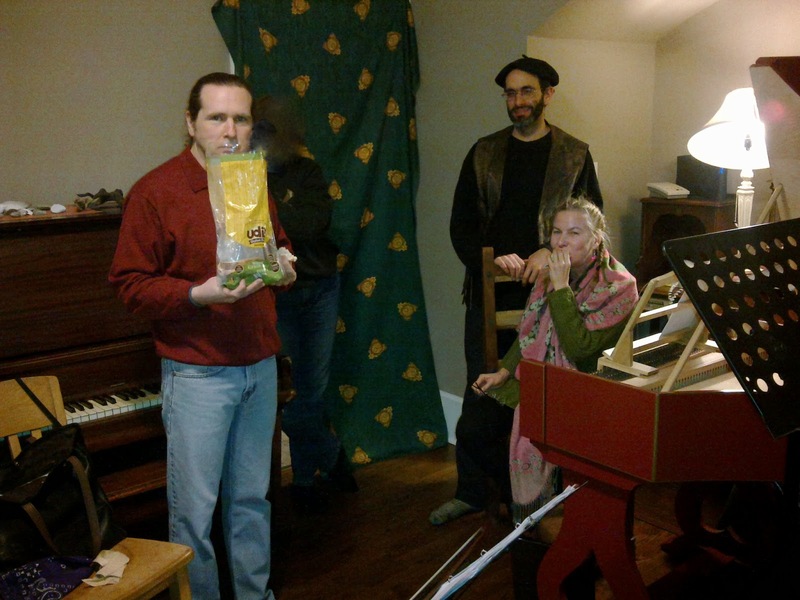 A New Year’s Day Concert - 2PM, Jan. 1st 2014 and 8PM Jan. 2nd at Heliconian Hall, 35 Hazelton Ave. Single tickets $25/$20 students & seniors at the door from a 1/2 hour before concert time. Named after the singers and lutenists who performed in the most intimate quarters of the Stuart monarchs’ palace, The Musicians In Ordinary for the Lutes and Voices dedicate themselves to the performance of early solo song and vocal chamber music. Soprano Hallie Fishel and lutenist John Edwards have been described as ‘winning performers of winning music’. A fixture on the Toronto early music scene for over 10 years, last year MIO became Ensemble in Residence at St, Michael’s College in the University of Toronto They have concertized across North America and lecture regularly at universities and museums. Institutions where MIO have performed range from the scholarly to those for a more general public and include the Renaissance Society of America, Canadian Society for Renaissance Studies, Grinnell College, the Universities of Alberta and Toronto, Syracuse, Trent and York Universities and the Bata Shoe Museum. 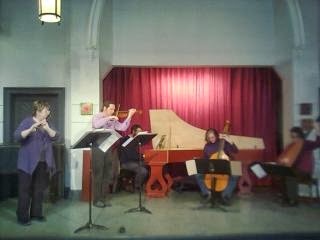 They have been Ensemble in Residence at Lafayette College in Easton, Pennsylvania. Christopher Verrette has been a member of the violin section of Tafelmusik since 1993 and is a frequent soloist and leader with the orchestra. He holds a Bachelor of Music and a Performer’s Certificate from Indiana University and contributed to the development of early music in the American Midwest as a founding member of the Chicago Baroque Ensemble and Ensemble Voltaire, and as a guest director with the Indianapolis Baroque Orchestra. He collaborates with many ensembles around North America, performing music from seven centuries on violin, viola, rebec, vielle and viola d’amore. He was concertmaster for a recording of rarely heard classical symphonies for a recently released anthology by Indiana University Press, and most recently collaborated with Sylvia Tyson on the companion recording to her novel, Joyner’s Dream. Long recognized as one of Canada’s bright lights on historical flutes, Toronto-born Alison Melville began her musical life by playing the recorder in a school classroom in London (UK). Her career as a soloist, chamber and orchestral musician with many ensembles has taken her across North America and to New Zealand, Iceland, Japan and Europe. Alison is a member of the Toronto Consort, the Arctic fusion band Ensemble Polaris, and is artistic director of the mixed media Bird Project. She appears regularly with Tafelmusik Baroque Orchestra, and as a guest with other ensembles across North America. Some favourite career moments include playing for The Tudors and CBC-TV’s The Friendly Giant, Atom Egoyan’s The Sweet Hereafter, solo shows in inner-city London (UK) junior schools, a recital last fall in southern Spain, and, oh yes, a summer of concerts in Ontario prisons. 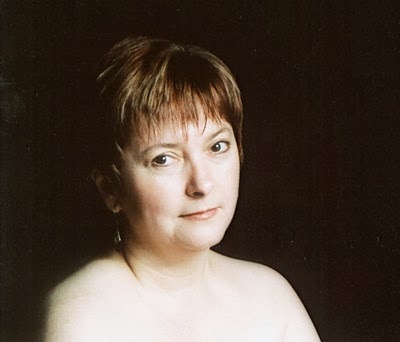 Alison has been heard on CBC/Radio-Canada, BBC, RNZ, NPR and Iceland State Broadcast Service, and on over 50 CDs, including five critically acclaimed solo recordings. She was on faculty at the Oberlin College Conservatory of Music (USA) from 1999 to 2010. Philip Fournier is Organist & Music Director of the Toronto Oratory, Director of the Chant Schola & Oratory Children’s Choir. He specializes in Gregorian Chant, which he studied at Solesmes with Dom Saulnier. 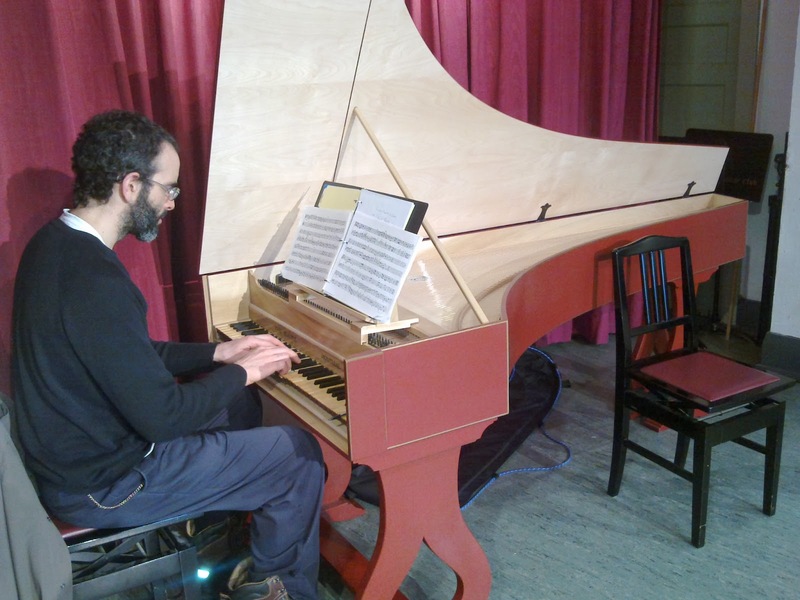 He gives solo organ recitals regularly at the Oratory, plays continuo and solo harpsichord and organ with various local groups, is guest cantor and organist for the Colby College Chant Seminar, and is active as a composer. Praised for her “stately, resonant and beautifully articulated” viol playing, Laura Jones enjoys a busy and multi-faceted career on both modern and period instruments. 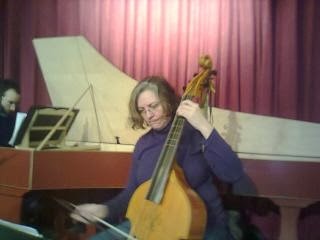 Laura has been a member of the Hamilton Philharmonic Orchestra since 1989; as well, she is the principal cellist/gambist of Nota Bene Baroque. As a chamber musician, she performs and records with both the Windermere String Quartet on Period Instruments and the Talisker Players. She has lent her talents as a gambist to the Winnipeg Symphony, the Hamilton Philharmonic, and Orchestra London, as well as the Toronto Consort, the Toronto Chamber Choir, the Classical Music Consort, and the Elora Festival. Laura plays an Addison model bass viol by John Pringle. By 1689 the Italian style was already making inroads into France. 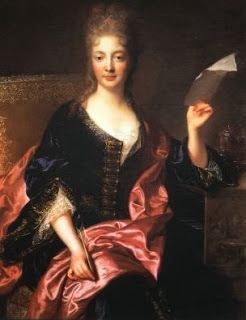 Perhaps that is why Michel Lambert, the leading composer of airs de cour from the 1640s on, chose that year to publish his re-written solo songs with appended ritournelles for two unspecified treble instruments. The trio sonata texture Lambert imitates is Italian, but he has the one treble weave a countermelody to the singing tune in a quite non-Italian way. Though he wrote for early ballets at the Sun-King’s court, poor Lambert could only get comic roles in the operas of his son-in-law Lully. 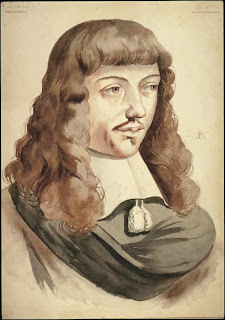 This was because, according to a contemporary, ‘it is not only that he makes faces when he sings, he is also extremely ugly even when he is not making faces.’ Lambert was the leading singing teacher in France teaching, as well as technique, his very baroque style of decorating the melody to the accompaniment of his theorbo. Lully sent his singers to him, though some came back with a few too many ideas for the his taste. ‘Those ornaments you can leave to my father-in-law.’ he said. 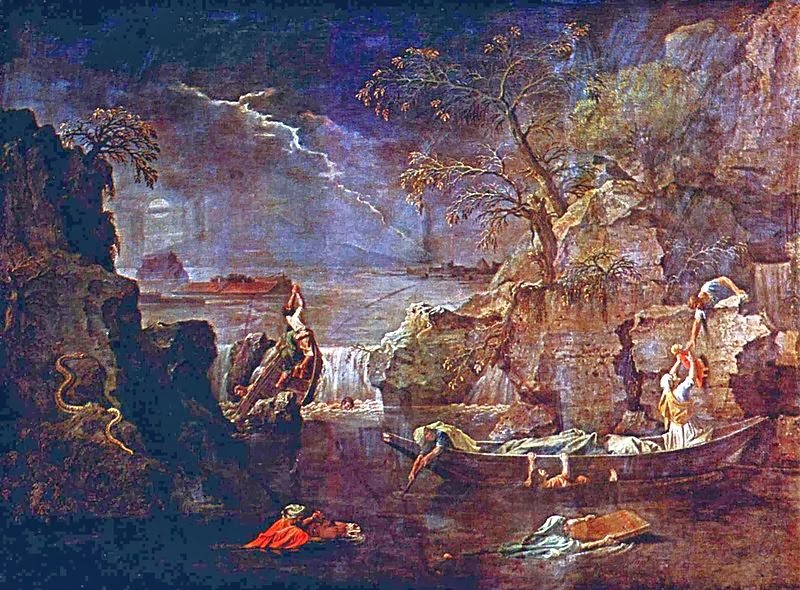 Jacquet de la Guerre’s cantate on the Sleep of Ulysses takes as its subject an episode from Book V of The Odyssey where Ulysses has escaped from Calypso on his improvised raft. Her cantates were among the first printed in France so we can say Élisabeth was, as it were, instrumental in importing the exotic Italian cantata to France. Neptune’s stormy ire, the intercession of Minerva (who is often depicted as or with an owl) and the hero’s slumber all provide scope for Jacquet de la Guerre to integrate French operatic pictorial movements into the Italianate cantata. No French opera from the period would be complete without a movement representing a tempête, bruit de tonnerre, bruit infernal etc. and Lully’s sleep movement from Atys, which we might think Jacquet de la Guerre had in mind while composing her Sommeil, is a show-stopper. 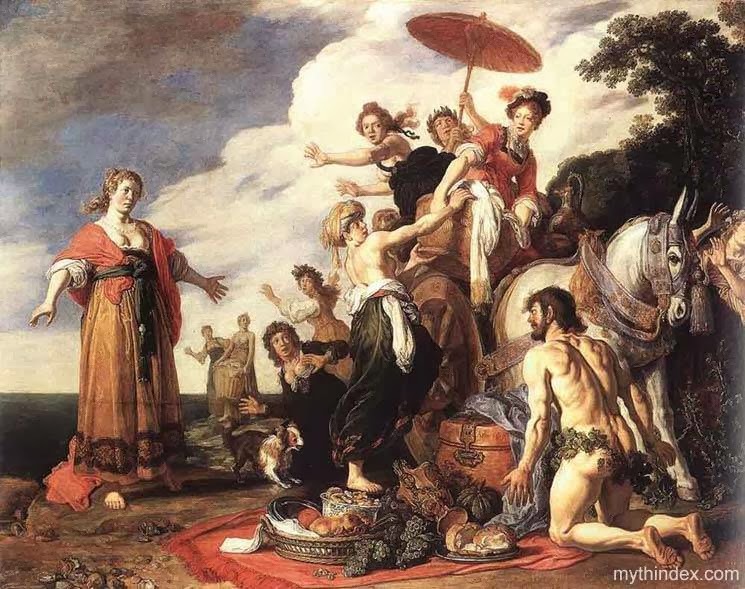 One wonders, too, if there might be a secret message of thanks for her patron Louis XIV in the emphasis in the text on the protection of Minerva, the goddess of music and poetry, and her prophecy of the magnanimity of the great King Alcinous, the hospitality of whom Ulysses is about to receive. Jacquet de la Guerre’s publication of violin sonatas (or are they?) have on the title page the designation Pour le Viollon et pour le Clavecin, though they specify violle from time to time when the continuo bass part splits. Perhaps she is keeping the scoring options open for the performer. Anglebert’s harpsichord works however, are completely untouched by Italianisms. 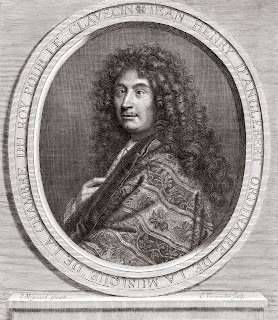 His manuscript keyboard works include his arrangements of the French lutenists Mezangeau and both Gaultiers (inventors, we might say, of the ‘French Suite’) and of dances from the operas of the ubiquitous Lully. Anglebert began his career as a church organist in Paris, but by the end of his life he was working in the household of the Dauphin of France and his wife and that of the king. His collection of suites in Pièces de clavecin was printed in 1689. Love, what counsel should I follow? And without seeing her I cannot live. Michel Lambert - Hot or not? I would die of pleasure if I were any happier. Recitatif: After many adventures, the indefatigable Ulysses had irritated Neptune and was trying to hide his vessel. But his efforts were in vain, for this god wanted him dead and a gaping crag be his tomb. Air, Gracieusement et un peu louré: On a deep and stormy sea he saw him guided by Zephyrs, sailing at the will of his desires, and reigning over the waves. Recitatif: He shuddered: an unjust madness took away his senses and replaced them with horror. Tempêste, Vivement: To get rid of this warrior he gave to his anger loud thunder and flashing lightning so that he made the air growl wand glow, and the universe, alarmed, fears, another shipwreck, all the winds, unleashed, battle against the waves, the vessel overturns, surrenders to the terrible storm, disappears, and the sea swallows this hero. Recitatif: Our wishes are fulfilled: that such a dear one escapes the storm. A delightful haven from Neptune renders the god's ire useless. By a magic slumber the goddess soothes Ulysses's pains. 2e Recitatif: Alcinous, this king that the universe admires, in these happy places rules his empire. In vain, many enemies, in their fits of jealousy, have tried their hardest to defeat him. He took but his thunder to keep the world at rest, this monarch, for the good of mankind, pleases himself by protecting the rights of sovereigns. Of the afflicted he has the firmest hope; your wishes shall be fulfilled by his magnificence, despite the Fates' attempt to destroy you, and he shall restore you triumphant to your beloved people.